Wondering why’d someone discuss having a cup of hot tea in their travel story than mentioning about their adventure? Well, that’s because adventure is not the only thing you seek when traveling to a new destination. For someone like me, the first thing I look for, especially when travelling to a destination nestled in the Himalayas, is – tea! A cup of hot, piping tea! Heavenly and pure bliss! So, here in this travel story, I bring to you a list of some of the top destinations resting in the Himalayan region, where you can not only enjoy some of the best adventurous activities of the nation, but also savor a hot cuppa tea for a truly memorable experience. Situated amid the Himalayan Dhauladhar Mountain Range, Triund lies around 18 kilometers away from the city of Dharamsala. Over the years, Triund has become one of the top must-visit destinations owing to the area’s excellent trekking expeditions. The trek to this plan begins from McLeodGanj. Along the way, soak in the majestic beauty of the nature’s bounty. Do halt at various tea shops dotted along the way and relish a cup of hot tea with snacks and Maggie to refresh yourself. 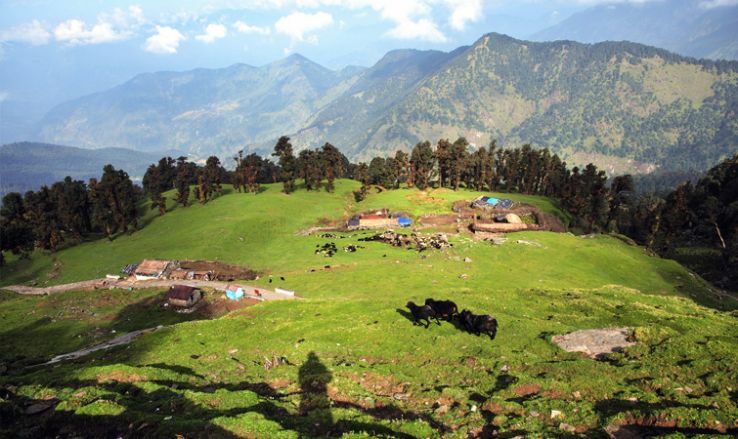 The best time to visit Triund is from March through November. 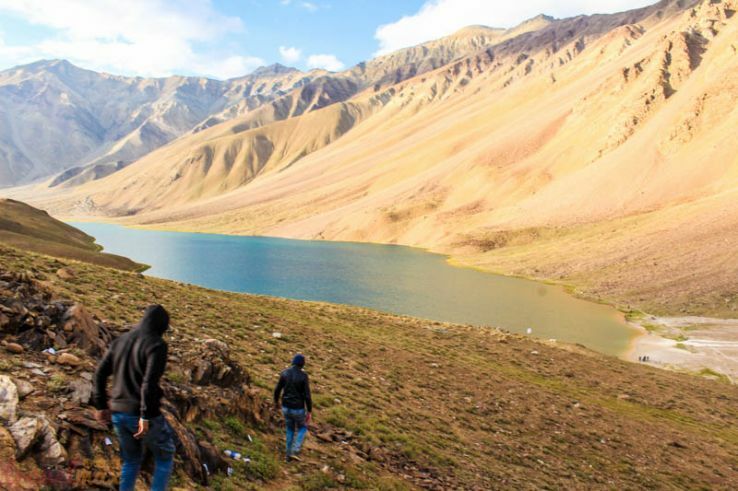 You can enjoy trekking from March till May and then from September till December. The region experiences heavy rainfall during the months of June and July. So, avoid visit Triund then. This is one of my favorite picks. 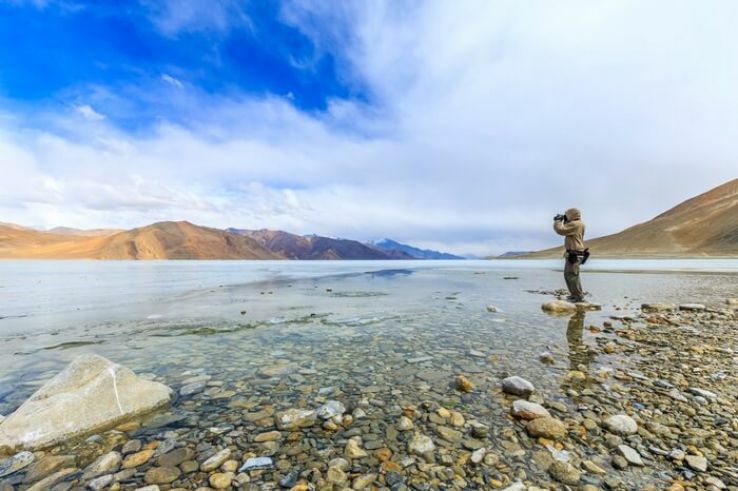 Pangong Tso Lake in Ladakh and its scenic beauty is breathtaking and spellbinding. The aura of the region is serene and simply sitting alongside the lake gives you mind, body, and soul the relaxation it needs. Interestingly, many Bollywood movies and songs have also been shot here, at the Pangong Lake. During the winter months, this saline-water lake freezes making it an ideal spot for ice skating. When in Pangong, you’ll find many small shacks dotting along the lake front. Savor their special maggie, omelets, and of course, hot tea!